On February 16, 2016, Boeing South Carolina delivered its 100th 787 Dreamliner, fittingly the same year that Boeing celebrated its 100th anniversary as a company. It was the triumphant culmination of a dream that began in 2004, with two of Boeing’s suppliers choosing North Charleston as the home of their shared manufacturing campus. The Vought facility would build the aftbody work of the new 787 Dreamliner, and the midbody work would be built by Global Aeronautica, a joint venture between Vought Aircraft Industries and Alenia North America. Both facilities broke ground in 2006, and in 2007 the first aft and midbody sections of the 787 were completed and delivered to Boeing. In 2009, Boeing acquired both the Vought and Global Aeronautica facilities to create a single Boeing campus. Even more importantly, Boeing announced that it had chosen its North Charleston facility as the location for a second final assembly site for the 787 Dreamliner program. 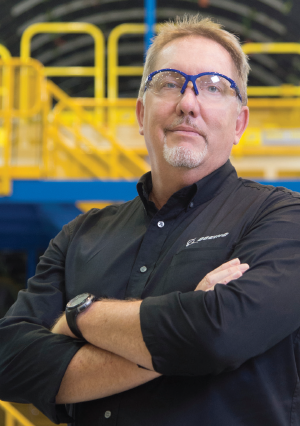 Warren Helm, director of quality, training and compliance, looks back on the historic decision to build airplanes in South Carolina, and on the training and recruitment assistance that made it possible. EDGE: What can you tell us about the importance of Boeing’s decision to come to South Carolina? Warren Helm: Very rarely do you get an opportunity to do a green-field startup site. This is a 100-year-old company, and this was a once in a generation opportunity. Making the choice to come to South Carolina was a monumental decision. In April 2012, the first ever Boeing South Carolina-built 787 rolled out of the North Charleston facility, a huge accomplishment as it was Boeing’s first twin aisle commercial airplane to roll out of a factory outside of Puget Sound [Washington]. In October 2012, Air India took delivery of the first Boeing South Carolina-built 787. That will go down in history books forever. 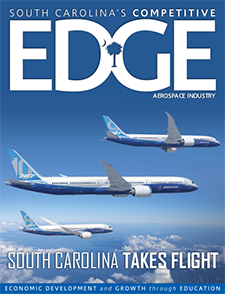 EDGE: Tell us about Boeing’s relationship with South Carolina’s readySC™ program. How has it helped train and recruit the workforce that builds the 787? WH: I’ve been associated and affiliated with readySC even before Boeing decided to come to South Carolina through Vought and Global Aeronautica. We would not be where we are today without readySC. They have been absolutely essential to our success here. Let me give you a couple of data points: before it was Boeing, readySC had trained 1,600 employees for Vought/Global Aeronautica. Since it’s become Boeing South Carolina, they have recruited and trained another 2,800 Boeing teammates. They’ve also conducted 51,000 training courses for us here on this site, and I’m going to say it again, much of this success is a result of readySC. They have been a true business partner for us. 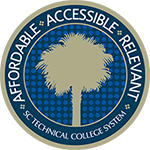 The relationship that we have with readySC, the SC Technical College System and the state of South Carolina is probably unique to anywhere else in the company. In my opinion, this is the model for the rest of Boeing. We’ve got 16 technical colleges in the state, and are continually looking at how we can leverage, collectively, the entire System and its 16 colleges. EDGE: What do you see as the top positive outcome that readySC has helped to give your company? WH: Their ability to recruit and train. The complexity of getting high-skilled workers in aerospace, or any advanced manufacturing industry, is not easy. So readySC had the ability, they recruited, they screened, they trained, and they delivered to us what I would call a “service-ready” workforce. That is probably the number one biggest asset that they have. EDGE: What are your current workforce and production numbers? Any plans for future growth? WH: If you look at the current campus now, we have over 7,500 employees. The total 787 program is at 12 planes per month right now. When we talk about total program, we don’t separate it between South Carolina and Everett, Washington. All of the aft and mid-body fuselages come out of South Carolina for both Everett and South Carolina final assembly. We assemble and deliver 12 aircraft a month, and we balance that out between Everett and South Carolina. We are starting production of the 787-10, which is the newest model of the 787 and the largest one. That will be exclusively built at Boeing South Carolina, and will be the first Boeing commercial airplane in the history of our 100-year-old company to be built only in South Carolina. That’s a really big deal. EDGE: Can you talk a little bit about Boeing’s relationship with Trident Technical College? WH: Trident Technical College, under Dr. Mary Thornley’s leadership, has been absolutely essential as well. We utilize parts of the Trident Tech campus through our training with readySC, plus we contract Trident Tech to do our re-certifications. When I say certifications, what I mean is that the roughly 3,500 production employees on this site have to hold a certain number of certifications annually or bi-annually that allow them to perform processes on the airplane. They hold, collectively, about 50,000 certifications. We pay Trident Tech a fee to help do those certifications, and it is a wonderful partnership. We don’t have this model to this magnitude anywhere else in the company. EDGE: You’ve recently started working with Apprenticeship Carolina™ to build an apprenticeship program – how is that going? WH: Apprenticeship programs have a long history with The Boeing Company. We have just started our first youth apprenticeship program through Trident Tech and Apprenticeship Carolina. We started slow because we were laser-focused on getting the workforce hired, getting them trained and getting to our production rates. So, now it’s about looking out for the next 5 to 10 years and ensuring that we have a proper pipeline for the future. EDGE: If you could come up with a word or phrase to best describe your relationship with readySC, what would you choose? WH: A true business partner. readySC has not been a traditional service provider. They are a Boeing partner, and we have a relationship with them, just as if they were a part of our team. That relationship is critical. We can just pick the phone up and say, “we need this.” And in turn they can pick up the phone and say, “we need you to do this to help us.” It’s just been a wonderful relationship and journey along the way. EDGE: Would you recommend readySC to another company thinking of coming to the state? WH: It would be a definitive yes. We would be here, but we would not be as far along in our journey without readySC right now. The services, the quality, the relationship that we have with them has just been world class. I strongly recommend readySC to any company that is looking to come to South Carolina. EDGE: Thanks so much. Is there anything else that you’d like to add? WH: People talk about the impact that Boeing has had. I’ve heard it referred to as the “Boeing Boost,” and the reality of it is that the presence of Boeing in this community means “a strong Boeing is a strong community.” Our employees here at Boeing South Carolina today, if we do this right, their children could work here someday, and their grandkids could work here someday. Boeing is a 100-year-old company. We have 4th and 5th generation Boeing employees that work for this company. We want to not only make The Boeing Company better, but this whole state. South Carolina is a wonderful place to do business. Contributing to Boeing’s success in South Carolina is a skilled team of readySC™ and Trident Technical College instructors. Illya “Coop” Cooper, who spent 20 years in the Air Force as an aircraft technician before becoming lead instructor for readySC, describes training for Boeing and how the experience has expanded South Carolina’s capacity to train future aerospace companies. EDGE: What types of training are you doing for Boeing? Illya “Coop” Cooper: We do pre-hire and post-hire, as the training progresses. We train on all aspects of the job as the employees go through different phases of training. We start off with structures training, where they learn how to drill holes and how to make sure that the quality of the metal is proper. In our sealant course, they learn how to apply sealant for different aspects of the airplane. In bond and ground, we show them how to make the aircraft safe electrically. If the process progresses, then they’d go to electrical and systems types of training. So we take care of just about every aspect of the airplane. EDGE: The Boeing 787 is built largely of composites – how is that covered in training? Coop: We stress how to use composites safely without damaging them. A lot of mechanics that come here may be used to a more traditional aluminum aircraft, but this is a different technique. So we have to teach them the proper way of dealing with composite materials, such as the surface of the composite and drilling of the holes. We have to take care to show them the correct way to do it—the Boeing way of doing it. EDGE: Do the training courses mix classroom and hands-on experience? Coop: It depends on what area of the plant that you’re going to. That usually determines what level of training you get. Every course has a classroom aspect, and the majority of them have a hands-on segment. Normally, you are required to pass the written test, then you go on to the hands-on portion, which you then have to pass before you can go out to the plant. EDGE: Once they’ve gone through the readySC training, how prepared do you think your trainees are when they start on the plant floor? Coop: I think they’re extremely prepared. Obviously, they’re going to have to have some on-the-job training to get the final process down, but from what we’ve heard, they can often go straight to the floor. EDGE: How long is the training? Coop: It can be as little as a couple of weeks, or up to two and a half months. It depends on the needs of the plant. EDGE: What feedback do you get on your training? Coop: We hear all the time how grateful our trainees are for being so well-prepared for the plant floor. We also hear formal praise from the managers. EDGE: How close is that relationship between the training team and the Boeing production team? Coop: It’s extremely close. We’re ready to respond when they need us, and they’re willing to provide us with everything that we need to do the training. EDGE: Any final thoughts on Boeing? Coop: It’s great working with them. Their management is totally on board, and I think it’s a great partnership. EDGE: Because of the Boeing experience, how prepared do you think readySC is to work with other aerospace companies? Coop: I think the fact that we have worked with Boeing for so long, and at times have had hundreds of people come through our training at a time that it would be no problem transitioning to another company. readySC knows how to be responsive to an aerospace company’s needs, and we can handle just about any training situation that comes up. Thomas “Cliff” Lynn talks about the readySC™ training program and how it prepared him to be a quality inspector at Boeing South Carolina. EDGE: Tell us about your career at Boeing. 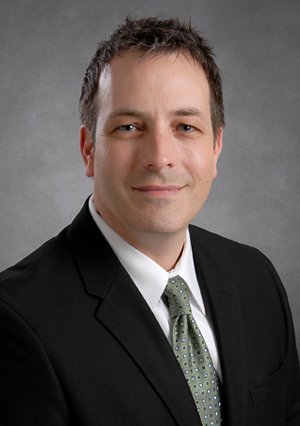 Thomas “Cliff” Lynn: My Boeing career began 4½ years ago as an aircraft manufacturing technician. Now I’m a quality inspector, and I inspect products and materials to ensure they are built to our exacting specifications. It’s a crucial and challenging position at Boeing. EDGE: What are some of the different types of training that you initially received from readySC? Cliff: Aircraft Manufacturing Technician Program, Quality Assurance Program, Sweep and Fill Composite Repair, Roto-Peen Repair, Sealant Essentials, Seal: Inspection, Electrical Bonding Type VII, Bond & Ground Resistance Measuring Type I, Oxygen Type III Inspection, Quality Tool Certification, Inspection of Terminals and Splices, Fiber Optic Inspection and 787 FOD Qualification. EDGE: What are some specific skills that you learned from readySC training and how well have they prepared you for success at your current job? Cliff: I learned so many skills through my readySC training – from drilling perfectly rounded holes, to working with carbon fiber and conducting quality inspections. The training I received through readySC was invaluable. It prepared me for the job I am doing today. The facility at Trident Tech features state-of-the-art tools and equipment that help students obtain hands-on experience that’s relevant to aerospace jobs today. The readySC instructors have a vast amount of knowledge and experience, and low classroom ratios allow students to receive one-on-one instruction. EDGE: If you could describe readySC in one word or phrase, what would it be? EDGE: Would you recommend readySC training to another person looking for employment? If so, why? Cliff: Absolutely – readySC’s training programs prepare students with the skills and knowledge needed in the aerospace sector today. EDGE: Any final thoughts on the readySC program and what it has meant to you? 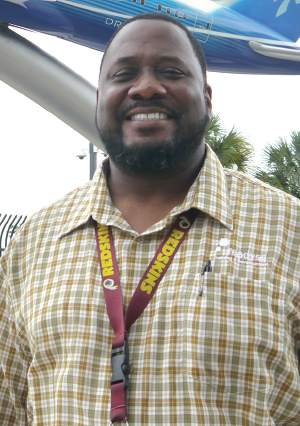 Cliff: readySC is one of the best-managed programs I have experienced. As a lifelong South Carolinian, readySC is an excellent example of the state and private sector working together. It’s a win-win for our state.